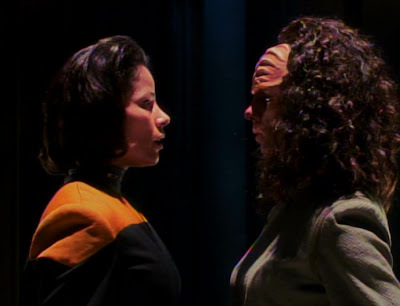 B'Elanna wakes up in a Vidiian lab to discover she is fully Klingon. How did she get here? How did this happen? Can she escape, and if she does, will she able to recover her human half? Will she even want to? Chakotay and Tuvok's shuttle returns with the occupants injured. Tuvok recovers, but Chakotay is apparently brain dead. Voyager sets course for the nebula they came from to investigate, but a mysterious force seems intent on stopping them. Tee hee hee, now put his finger in a cup of warm water! 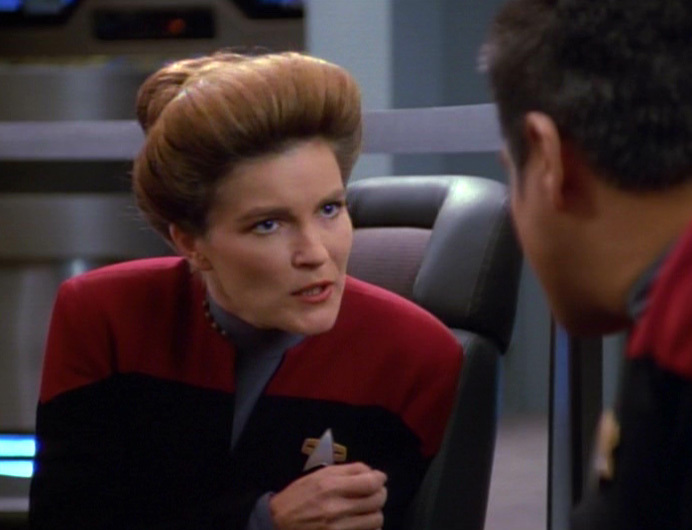 When Ensign Kim goes missing during a holodeck excursion, the Voyager crew investigates connections between his disappearance and strange photonic beings outside the ship. The Doctor is recruited to enter the holodeck and recover his missing crewmates. After discovering a Kazon ship has been secretly shadowing them and the presence of Federation technology at an accident site on a Kazon ship, the crew discovers someone is funneling technology to them. Suspicion falls on Maquis member Seska and Starfleet officer Carey, both having plausible motives and opportunity. Do you think I would give up my heart for a boring character like you? Of course I'm a Cardassian. 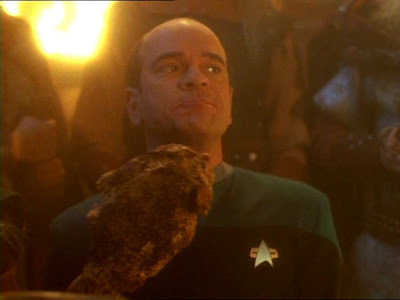 Voyager is contacted by the Sikarans, a famously hospitable race who desires nothing more than to give Voyager's crew a much needed respite. Things become more complicated, though, when the crew discovers a spatial folding technology that could send them halfway home in the blink of an eye. You know you've been out at sea for too long when this guy starts looking attractive. Voyager discovers an undiscovered element in the rings of a planet. Hoping to mine it, they discover the rings are the crypts for a race of aliens. Before they can leave, Harry Kim is captured by the transport device that deposits the people for burial. Complicating matters, the alien left in his place is alive, and discovers what she has been told about the afterlife is very different from where she finds herself now. Harry wakes up naked in sickbay. Hope the rumors aren't true, eh? 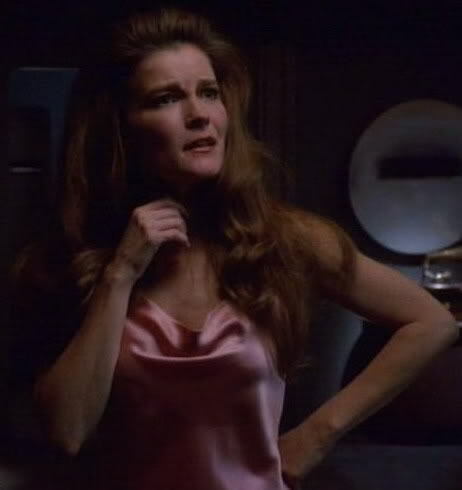 While on a mission to secure help in fixing one of Voyager's systems, Tom Paris becomes entangled with a mysterious woman, and is accused of murdering her husband. The punishment he receives threatens to destroy his life. Voyager encounters a wormhole that may lead home. Unfortunately, it is too small to travel through. 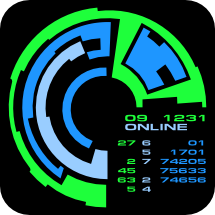 Deciding instead to try to get a message home, the discover the wormhole does in fact make it to the Alpha Quadrant, but to inside the Romulan Empire. Janeway must now convince a skeptical Romulan scientist their impossible tale is true. The Captain lets her hair down and kicks back in a saucy little evening number. 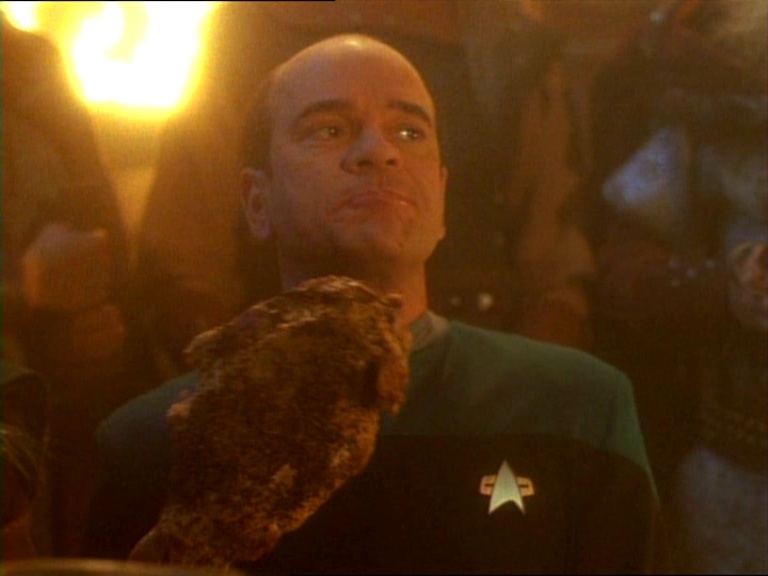 Voyager investigates a nebula in the hopes of finding a new energy source. The crew winds up getting more than they bargained for, though, when they get pulled into the body of a large space being. 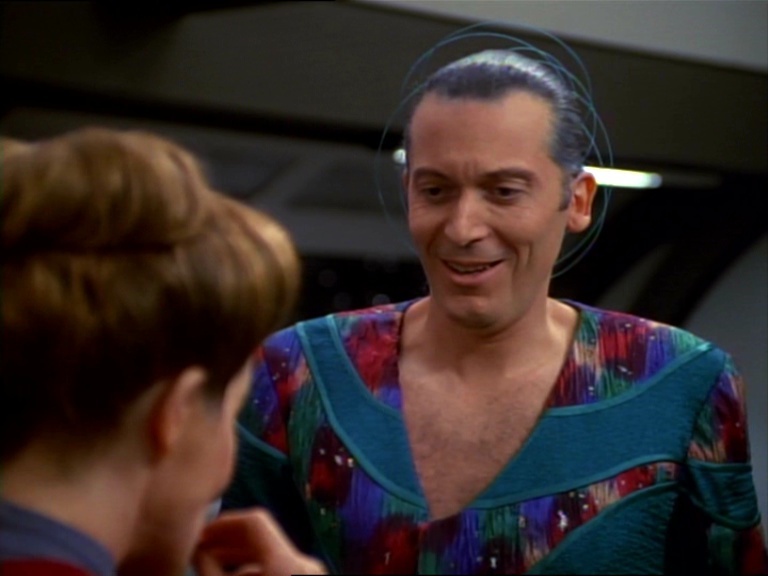 Why, yes, Commander, I would like to see what's inside that medicine bundle of yours!